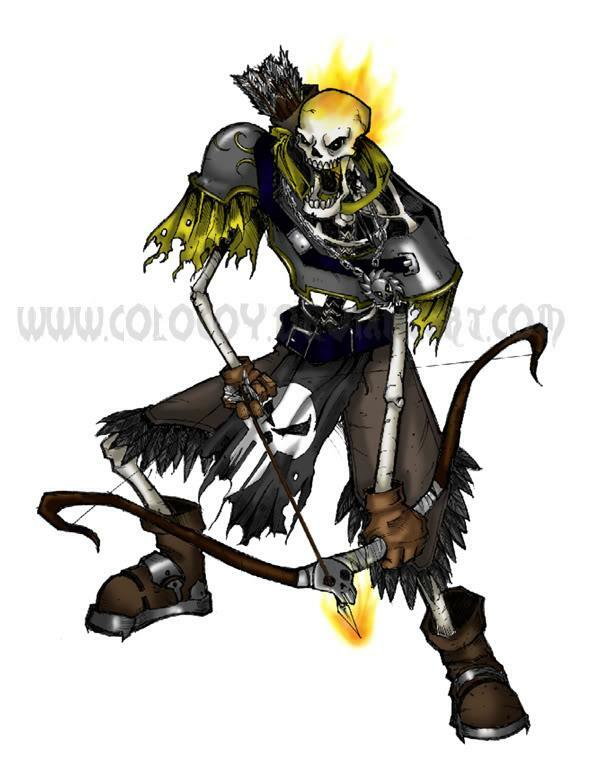 Clinkz is one of the best archer in DotA. 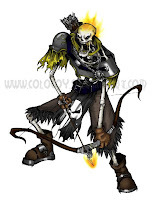 He have all what an archer needs, attack speed, damage, and movement speed, so pick this hero and be owning using this archer. 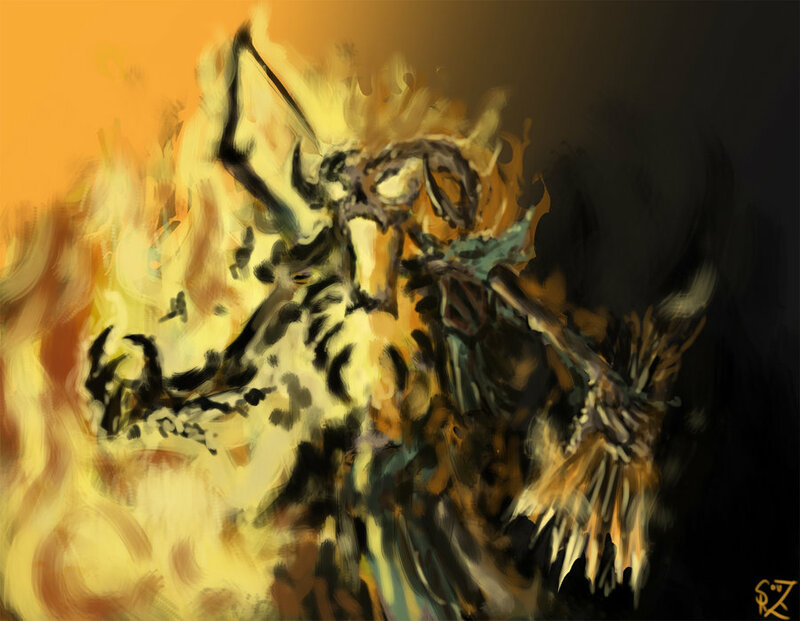 Although Clinkz have damage and attack speed, he have the weakness of the majority of ranged hero, he only can attack a single unit at a time, except if you buy Manta. So be focused on one target, and after he dies, you can change to another target. High attack speed If enemy have gem, you can be killed while you don't realize that they can saw you. Easy to escape with invisibility skill. 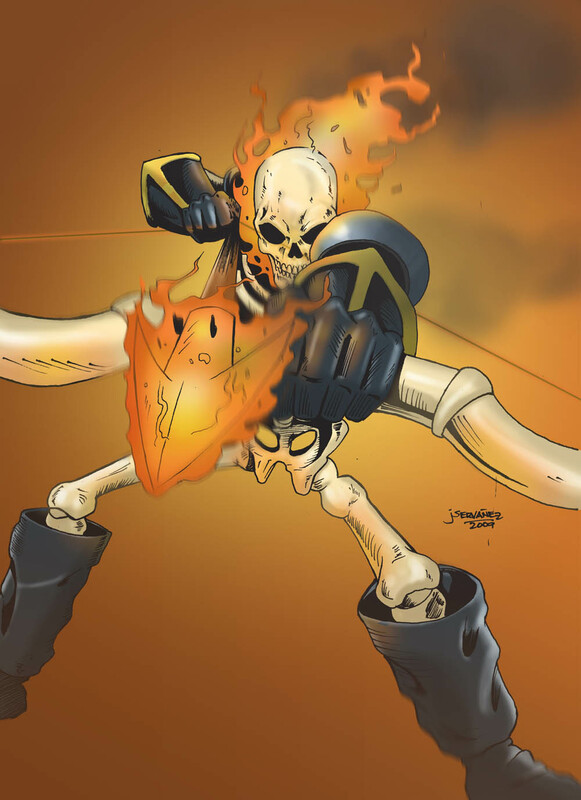 It's hard to say whether the blur around the Bone Fletcher are from his flaming heart or his speed with the quiver. Increase your attack speed. This skill makes you to attack like crazy with a very high attack speed. Very nice to knock down enemy hero or towers. Add a damage to every attack. In early game, this skill is a decent skill for harassing. Use this to harass enemy hero once in a while. And in mid-late game, this skill is useful to add your damage versus heroes and towers. Makes you become invisible, useful for scouting, hunting, and for escaping. Beware, of Gem, Sentry, and Dust! You also become a decent runner with this skill, your movement speed will increase like a crazy, very good to escape, or in chasing a target. Increase HP and damage by eating a creep. You also get gold from this activity. Very good skill for a squishy hero like you because it will gives you a decent additional HP. Also a perfect skill for a carry like you, because it will give a decent damage. I recommend to eat the big creeps because it will gives you more HP and damage. Why take Skeleton Walk on Level 1? You need to save yourself from firstblood attemp from enemies. Why maxed Searing Arrows first? This is your main damage on early-mid game. You need this to harassing and killing. 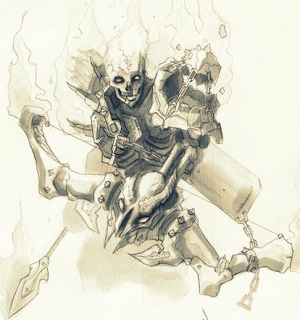 Why maxed Strafe before Skeleton Walk? You need strafe for fast killing on early-mid game. Long duration of Strafe needed to destroy towers and in a long teamfight. And level 1 Skeleton Walk is enough for early-mid game. 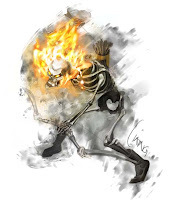 On early game, I recommend you to take Skeleton Walk for level 1, thats for anticipation if enemy wants to kill you in the starting of the game. Once the laning phase start, always harass enemy hero, make them uncomfortable to be on the same lane with you. Use Searing Arrows to harass them. With you on the lane, enemy should be frustrated and cannot last hit properly. 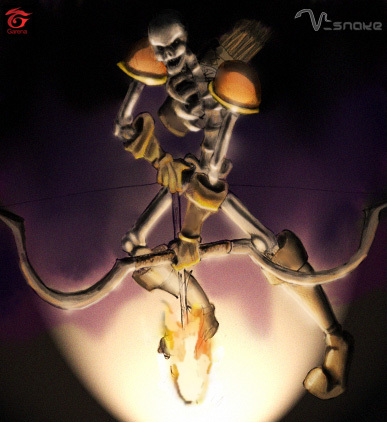 If you have a chance, use Skeleton Walk and sneak to the back of your enemy, and then use Strafe and activate Searing Arrows to kill him. 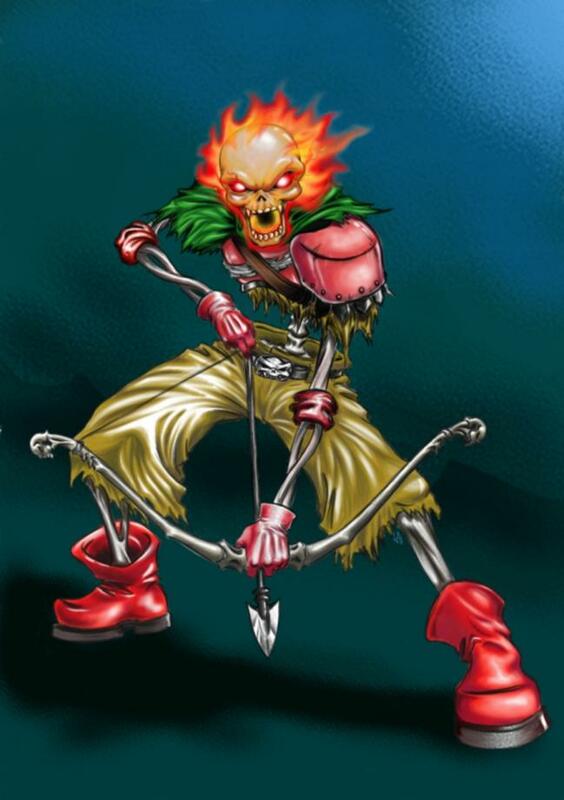 In mid game, try to haunt your enemy by coming from jungle in invisibility mode and the attack enemy from behind, remember to activate Searing Arrows and Strafe. If there are his friend coming and you feel that you will be lost versus two, then use invisibility mode again, and gone. If there are no enemies helping their friend, and your target run, chase them using Skeleton Walk that helps you with its additional Movement Speed. Death Pack is very important skill. Always use this when its off cooldown. Try to eat Junlge Ursa, Wildkin, or other big creeps in the jungle. With this, you will always more tanky and have more damage to blows the enemy. On the teamfight, be focus on one target and after you succesfully kills your taget, change to another target. the key of carry heroes like you is to be focus on one target at a time, remember that and you will be succesfull carry. Remember to always use Searing Arrows on towers. The damage addition affect towers too. In late game, your part is to deal damage as much as you can. Target squishy hero for easier kill. And dont forget focus. You should already have some nice items here, maybe Daedlus, Orchid, etc. So if your damage is already high, it's your time to shine! Wait for your initiator to come and tank all the damage. Then, use your mighty attack speed and damage to demolish all the enemies. Focus on the hero one-by one. With that, you should be OWNING and win the game. Why Ring of Aquila? It gives you mana regen. You need mana regen to use Searing Arrows. This items also gives some damage. Why Orchid? This is your core item. You need this to get lots of mana regen you need to spam Searing Arrowss. Also add damage and attack speed. Also gives a silence skill and amplify damage for a single target. 4. You can increase your DPS more. Choose your own DPS items.As a carry, damage is your priority. They have strong disables, and if they can catch lots of enemies in their ultimate, you just need ro attack that enemies easily. Slardar and Gondar have a true sight ability that makes you to be visible, beware of these two heroes. Those items can reveal you, so be careful with thr holder of thhose items. Purge a dota enthusiast, create a good video on how to play Clinkz. Watch this!